The Hypnos extra firm features a unique ReActive™ 6 pocket spring system. 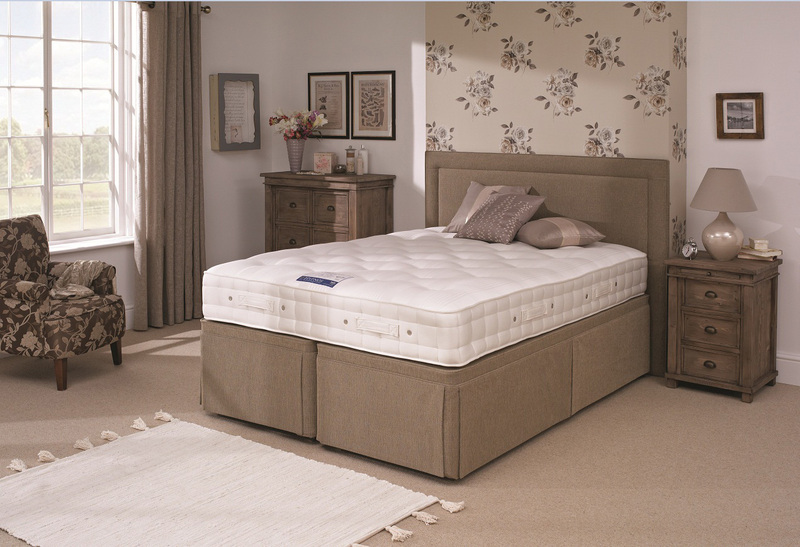 Each spring has 6 active turns which individually sense your shape and weight distribution across the mattress. 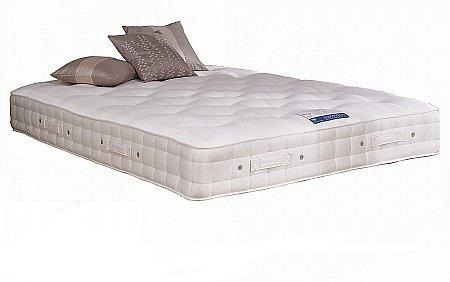 The result is a mattress of exceptional comfort, and full spinal and body support. This mattress comprises of weight responsive pocket springs with luxurious layers of soft and breathable wool and eOlus™ sustainable fibre. Helping to naturally regulate body temperature, these layers keep you and your partner at the optimum sleeping temperature throughout the night. Where a bedstead with a slat system is being used, ensure that the slats are not more than 7.5cm (3 inches) apart. If a wider gap exists between the slats, it is recommended that a ‘bedstead mattress base’ be used between the slat system and mattress. With over 100 years bed making experience, Hypnos pride themselves on the craftsmanship and quality of their products. They combine traditional, time honored skills with constant innovation and use only the finest materials. A Royal Warrant from Her Majesty Queen Elizabeth II provides Hypnos with a ‘mark’ of excellence and reinforces Hypnos’s reputation for the very best of British quality. Your bed is made to order and will be delivered within approximately 5-7 weeks. Please include your telephone number with your order as the delivery driver will call to confirm your delivery date. Delivery will be Monday - Friday. Your bed will be delivered to room of choice, installed and packaging taken away. We regret we are currently unable to deliver beds to the Scottish Highlands, Northern Ireland, Republic of Ireland and Off Shore Islands. 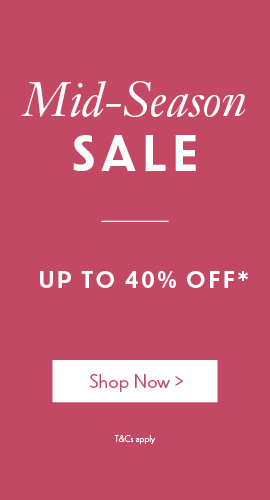 As this item is made to order it is delivered direct to you from our supplier within 5-7 weeks. Our supplier and/or their nominated courier provider will be in touch with you to arrange a suitable delivery date.